The 2nd & 3rd; What he did should have worked. — In one of the stars I shall be living. The 2nd of February. It's been a very busy day. As soon as we arrived at the QE, we bumped into John Higham from the dental hospital (there with a family member, not ill himself), and then Janet, who adopted Monica from us ages ago. She's doing really well, climbing up onto their garage roof, yet when she was with us, she couldn't even jump onto the windowsill. Andrew saw me super promptly, which was excellent. He showed me the pictures from the venogram, and it's quite obvious that what he did should have worked. He doesn't want to go back in immediately, which is understandable, and having looked at my arm, our first port of call is going to be a compression garment which he is trying to get organised as an emergency (it normally takes two weeks to get an appointment). I have to keep it elevated, and squeeze a stress ball a lot to encourage blood flow, and see him again in a couple of weeks, when we'll talk about next steps if necessary. We were meeting Naomi for lunch, and there wasn't time to go home and back again, so we went into town. 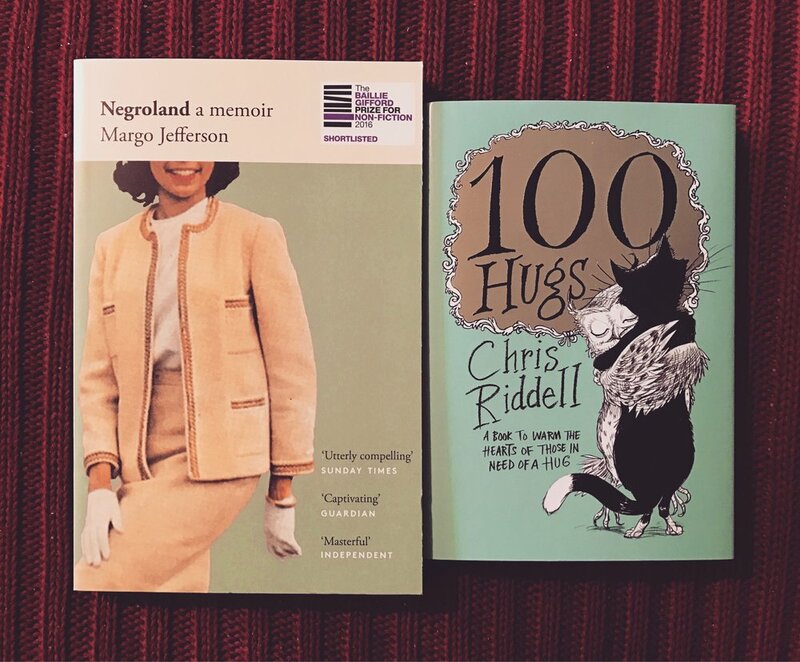 I bought a new jumper with large sleeves to add to my current rotation and spent the book token I got for my birthday on Negroland by Margo Jefferson. We got to Strada first, and it was full of elderly people obviously going to something at Symphony Hall. When Naomi arrived, I gave her the bunny I made, and she was delighted. 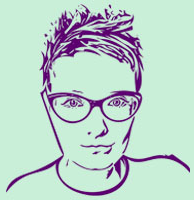 She was very interested to hear about my most recent Anthony Nolan trip and to talk about the charity - she's learning more about how they work because she's choreographing the new show being created about Kids Company that'll be on at the Donmar in the Spring. Must go see it, it sounds like it's going to be fascinating. I had pizza and a chocolate fondant, neither really worthy of photos but very tasty. She had to go at half two because she was seeing Love at the REP, and we came home where I have done very little except squeezed a stress ball. Bleah, my cough is extra rubbish today. I can feel the gristle in my lower ribcage as the bones grind together. It's really not very pleasant. 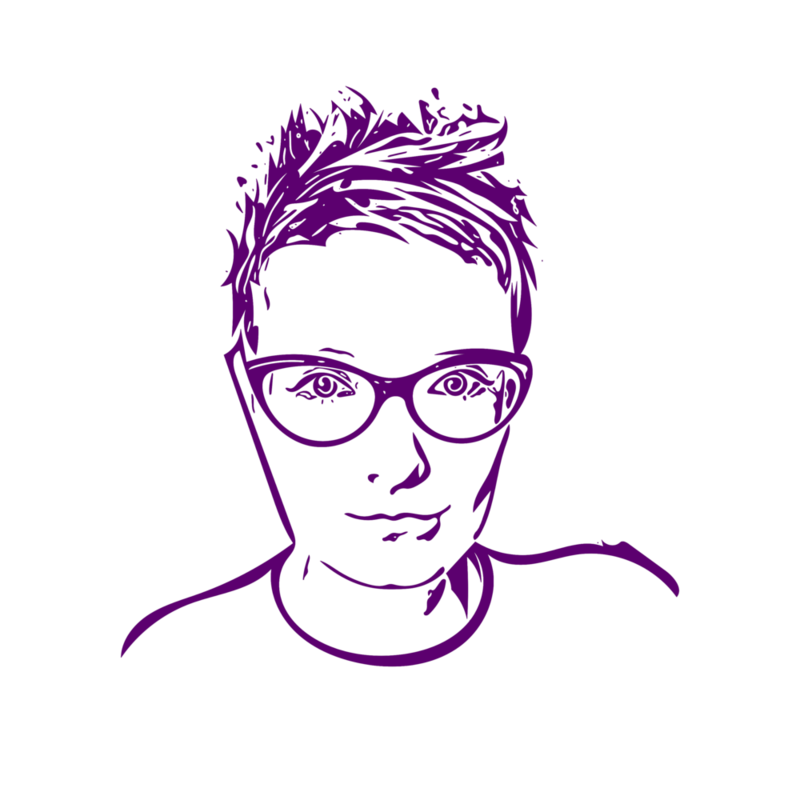 This morning, I did the blog post I should have done yesterday, and I started taking some diuretics. We thought it was worth a try to get some of this fluid shifted, so today has also involved more peeing than is normal. Maybe they, along with the stress ball squeezing and arm elevation, will help the fluid. Heard nothing about the compression garment. After lunch, Daddy and I went to see Sing. It was that or Hacksaw Ridge, and I thought I needed the light relief of singing animals. I was not prepared for the ten or so children who were there - at a two o' clock screening on a weekday, there should not be loads of kids, no matter what the film. If they're ill, they should be at home, if not, they should be at school. I had to shush them several times because their parents were not doing anything. Apart from the children, I did enjoy the film. Rosita is my favourite - I love her and her piggy power. Feb 6 The 4th & 5th; To the point where it scares me.